When it comes to flooring and other wood working jobs there are a few different tools that every handy man needs to be familiar with and an air brad nailer is just that. This type of pneumatic air nailer is always used as a method of finishing the work that has been done to give it a clean and complete look. A brad nailer is simply a smaller version of your typical nailer that is used to attach things like small molding that need even smaller nails than a finishing gun can install. Brads are a very thin finishing tool and are much thinner than a finishing nail so they are often used in instances where a typical finisher nail may split the trim. These two tools are often used together and are not mutually exclusive to any one job. Brads are generally made from very small gauge wire and are far thinner than a finishing nail. They also have a very thin head so there is often a very small hole left after the brad has been driven which means that you may not need to use filler before you finish the piece. 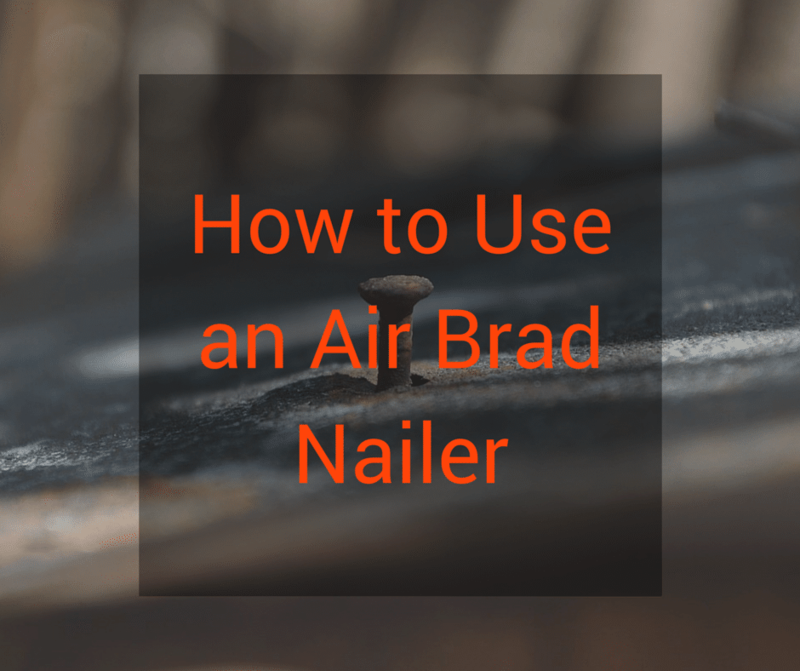 Brads are also much shorter than a finishing nail so they are often not going to be used for something that is heavy or that is going to need to be held up or supported. This means that you are not going to be doing any structural work with a brad nailer but mainly just finishing work. In order to properly use this tool you need to first determine what size brad you are going to be using. Certain guns are going to house certain sizes while others may be able to drive multiple sizes. You are also going to need to make sure that your compressor is going to work with the brad nailer and that it is the proper power to run the gun. After that you will need safety glasses to insure that the brads do not damage the eyes and that you are safe from any flying debris that may be present. Working in a larger space is going to be better for everyone involved as air compressors are loud and so are brad nailers. It is always best to affix a brad toward the center of a board to prevent splitting and damage to the trim or the finish. Since brads are so much thinner and smaller than finishing nails it is important that the brad be perfectly aimed. Brads are easily bent by hammers so those that are not driven all the way into the wood may end up bending if you try to hammer them in. Instead, when a brad is not driven all the way in it is best to remove it completely. When using a brad nailer make sure to avoid knots in wood as they are most likely going to bend the brad or blow out the side of the trim that you are working with. You should take the time to get to know the wood that you are working with as it will often let you know if a brad nailer is going to do the trick or not. A brad nailer is a great finishing tool and can make the entire process much faster and easier for everyone involved.